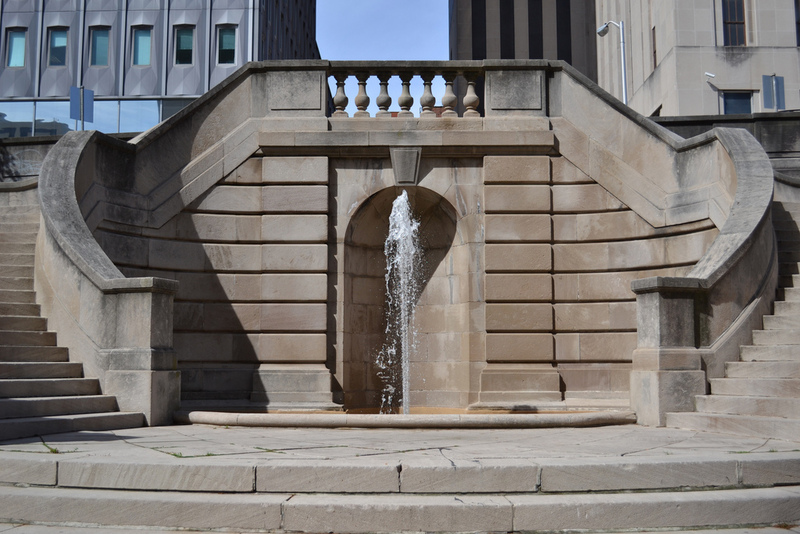 Built between 1914 and 1919, Preston Gardens is a linear park along Saint Paul Street. Few people know that Preston Gardens was once the site of a thriving black community up through the early twentieth century. Black lawyers, religious leaders, and countless others occupied a mix of homes, offices and social halls built on Saint Paul, Hamilton, and Courtland Streets from the early to mid-nineteenth century. The neighborhood originally developed as an affluent district just north of downtown back when Mount Vernon Place was still a forest and a dueling ground. 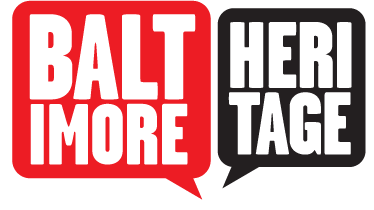 As the city’s African-American population grew following the U.S. Civil War, black household largely moved to south Baltimore and central Baltimore – keeping close to both the black institutions that predated the war and potential places to find work around the harbor. 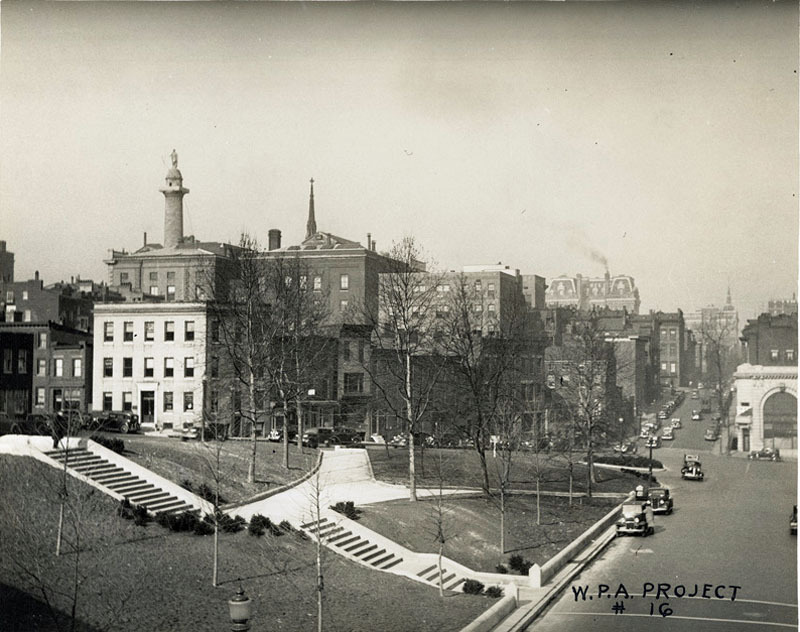 By the late 1890s and early 1900s, the district passed out of fashion with many middle-class African Americans as they followed white Baltimoreans in moving out into the northwestern suburbs now known as Bolton Hill, Madison Park, and Druid Heights. Unfortunately, this out-migration and a series of “improvements” to St. Paul Street between the 1910s and 1930s resulted in the demolition of nearly all of the buildings in this area. 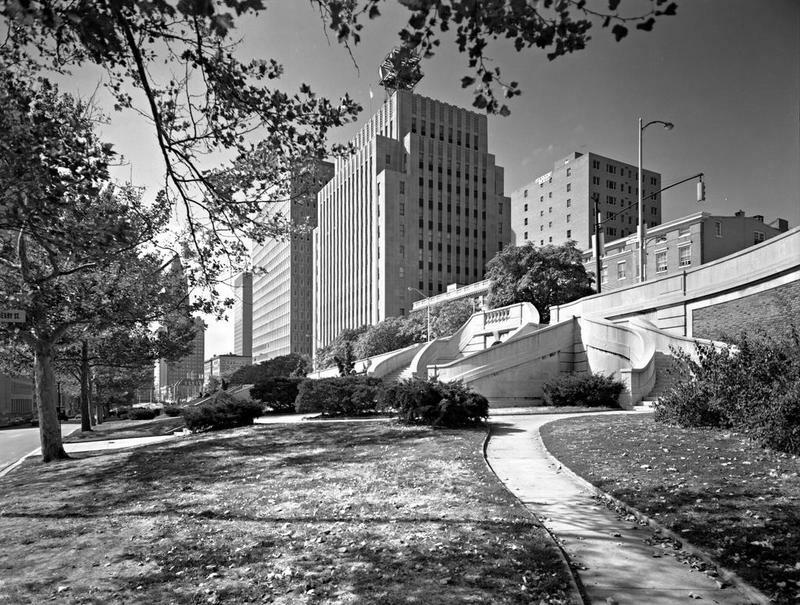 The creation of Preston Gardens and Saint Paul Place began in 1914 as a project of then Mayor James H. Preston. An ordinance passed that year gave the city authority to condemn and tear down what Preston called "blighted" buildings in the area. Critics called the plan “Preston’s Folly” after the Mayor used loan money originally designated for harbor improvements to pay for the costly improvements. The park was designed by architect Thomas Hastings and the was dedicated in 1919. "When you pass through the beautiful Preston Gardens, now almost the heart of Baltimore’s humming business section, you are passing through a section where some beautiful brown-skinned girls and chivalrous youth who glided across hardwood floors to the tune of the old-time waltz while proud matrons and father looked on." Mercy Hospital tore down a row on St. Paul Street containing some the few surviving buildings from this district in 2008. “Preston Gardens,” Explore Baltimore Heritage, accessed April 19, 2019, https://explore.baltimoreheritage.org/items/show/71.